These Gore-Tex (fabric) short vintage boots were made in Italy by Bruno Magli. 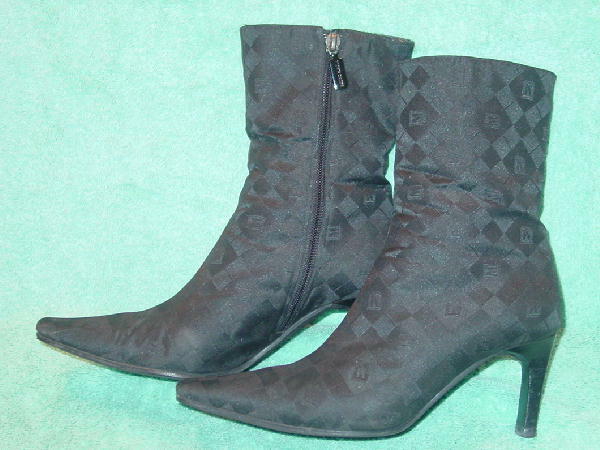 They have black wood stacked heels and rubberized black soles. 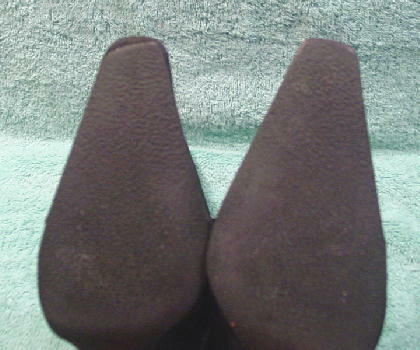 The right boot sole has a small piece of the rubber missing on the very front. 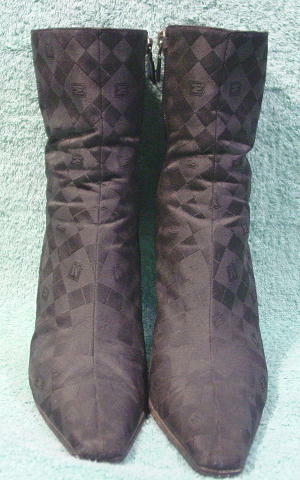 They have elongated toes, 7 7/8" long inner side zippers, and rectangular metal pulls with Bruno Magli etched on both sides. The interiors have black leather insoles, black leather linings, and 4" high black fabric panels that start at the base of the zipper. The wood heels have some intendations. The fabric has a tone-on-tone square design pattern with logo M's on the larger squares. 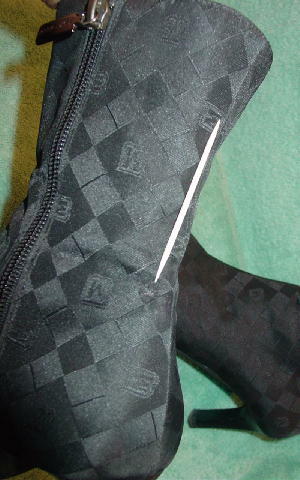 The inner back of the right boot (4 1/8" down from the top) has a snag in the fabric. They're from a New York actress. 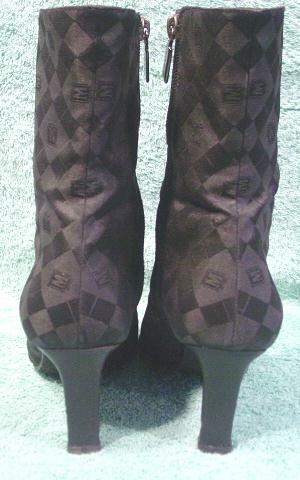 top of boot to bottom of heel 10"